Sequencing—putting steps in the right order—is absolutely vital to early literacy. It’s also a natural part of development and life in general. If you wonder if it’s really that important, let me tell you a story. If you follow a recipe like this—out of sequence—you could end up with a disgusting mess of half-frozen-pea-covered casserole. And is there anything worse than a tuna casserole? Yes. A half-frozen-pea-covered tuna casserole. * Right. Just like making a new recipe might be unfamiliar, stories, even classics like Little Red Riding Hood may be brand new to children. A few days ago I cracked the joke, “I’ve fallen and I can’t get up!” to my teenagers. They had no. Idea. What. I was talking about. Of course I’m a good parent, and a good parent realizes 1980s-bad-TV-commercial-memes are a healthy part of a complete breakfast, so first thing we did was click open YouTube and watch ALL the commercials. But the point is that it’s easy to assume a child knows something simply because we think they ought to know it. What does this have to do with sequencing? Sequencing is the foundation of child development, and pathologies arise when the foundation breaks down. You learn to ride a bike, walk, brush your teeth, get dressed in a certain order. Even something as natural as speaking requires sequencing. One speech pathology, Apraxia, is caused by the brain’s inability to automatically order the muscle movements necessary to shape words. I watch my second youngest child struggle with this every day. Even saying “Mama” can be challenging for him because he has to remember to press his lips together to make the mmm sound before saying the aaah. So that’s to say sequencing goes far beyond putting pictures in the correct order. It’s a foundational skill for science, math (hello, order of operations? ), language development, critical thinking and, yes, literacy. Being able to understand and recall a story hinges on the ability to grasp the structure of the story: what happens first, second, third, etc. which is a skill even pre-readers can practice. And once a child is ready for the next step, reading, sequencing is even more important. Sequencing is essential for reading. Reading is all about sequence. A story has a beginning, middle, end. A sentence has a beginning, middle, end. Even a word has a beginning sound—bbbbb—a middle sound—aaaaaaa—an ending sound—ttttt. Bbbbb—aaaaaa—tttt. Bbaatt. Bat! 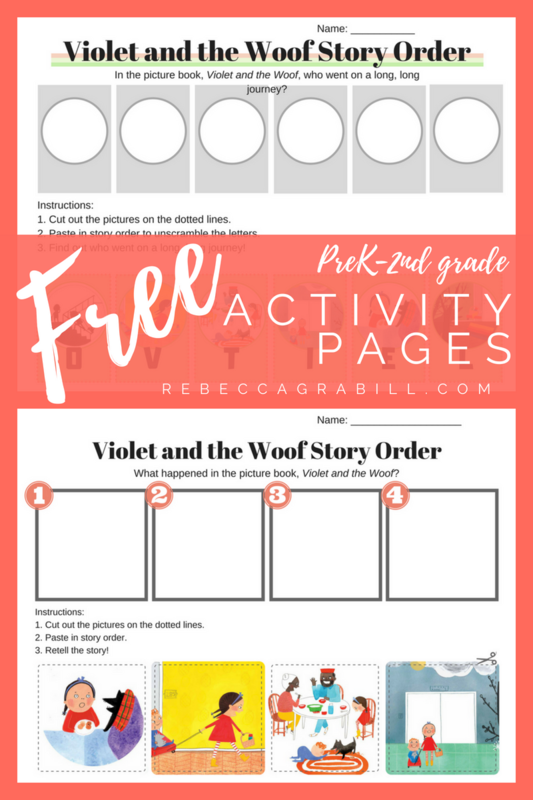 Below you’ll find two Violet and the Woof sequencing printables for kids! One is simple, suitable for PreK and Kindergarten, the other more complex and the perfect compliment to your First and Second Grade literature units. Download the color PreK sequencing printable here! Download the PreK printable in B&W. Download the Advanced sequencing printable here! 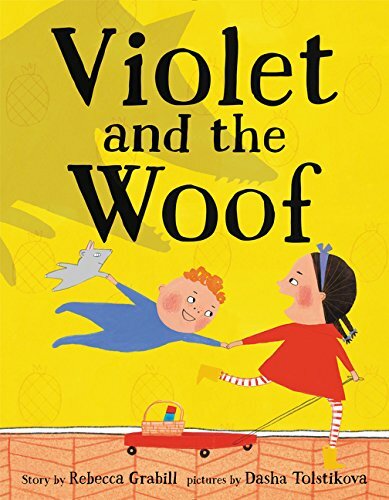 After reading Violet and the Woof, page through the book and encourage readers to retell the story based on the pictures. Practice ordinal numbers (first, second, third, etc.) to organize elements of the story. What other ways do your students practice sequencing? *My heartfelt apologies for those who love tuna casserole. Where were you when I was little? I would have given you ALL my casserole.